Mary Rothe, the "Material Girl" and Wendy Whellum of Legend and Lace, have combined to bring you "Past and Present". 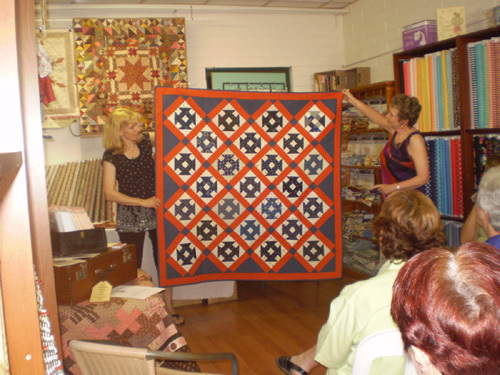 This is a Trunk Show with 25+ reproduction style and contemporary quilts - some made by machine, others by hand - pieced and appliqued. 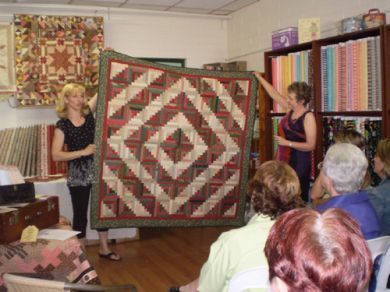 Mary and Wendy will talk about what inspired the designs, how they tackled the project and give you tips of creating your own reproduction quilts. Invite us to your guild and we will bring along fabrics, patterns, and sewing notions. We can also include a small project for a nominal cost.